Your Compassion will Change Lives This Thanksgiving! 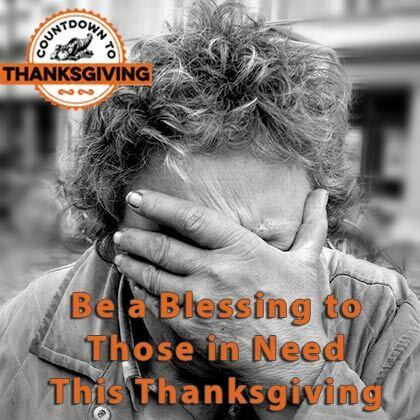 Help hurting men, women, and children in the greatest of need this Thanksgiving with meals and more. Help show the homeless and needy that people care. Every $2.10 provides for a hot, nutritious meal for someone in need. We believe that "Hope often begins with a Meal". It is hard to speak to someone about changing their life when they are hungry, tired, and hurting. This fall we want to make sure that "No One is Hungry". Your gift will bring more than just a meal - it will bring Hope. The message that someone cares! 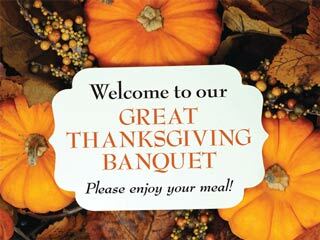 A special traditional Thanksgiving meal for a homeless or needy man, women, or children. Encouragement to enter one of our residential programs. Help with the most basic needs of those that come to our Centers every day. Tools and knowledge needed by our friends and neighbors to transition back into society. Permanent solutions for the chronic homeless. Your Compassion is Love in Action! Thank You for helping this Thanksgiving! Your gift will bless people who are struggling and will help change lives.